Get corkscrew curls straight from the catwalk with Lee Stafford ORiGiNAL CHoPstick STYLER™. This great curling wand has an extra skinny rectangular barrel so you can get the exact tight curls with a perfect grip. What's more, the wand has a very fast heat up time and a maximum temperature of 200°C for great results. 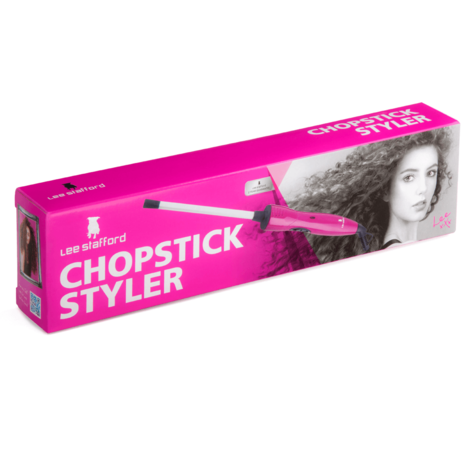 This Lee Stafford ORiGiNAL CHoPstick STYLER has a ceramic coating to keep your hair looking healthy, smooth and silky. 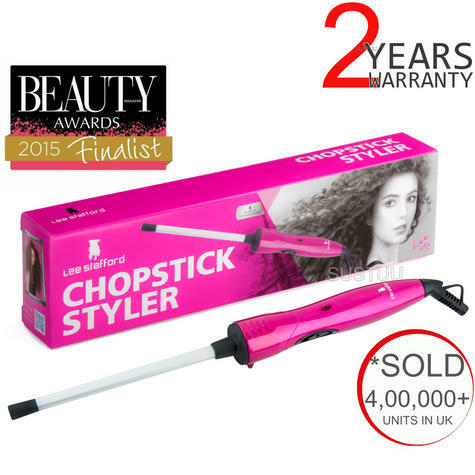 Get Corkscrew Curls Straight from the Catwalk with Lee Stafford Original Chopstick Styler! Even if you have hair that doesn't normally hold a curl, this curling wand will give you tight spiral curls that last for days. With over 400 5-star reviews, you know we're not exaggerating. You can have salon quality curls without spending a fortune. 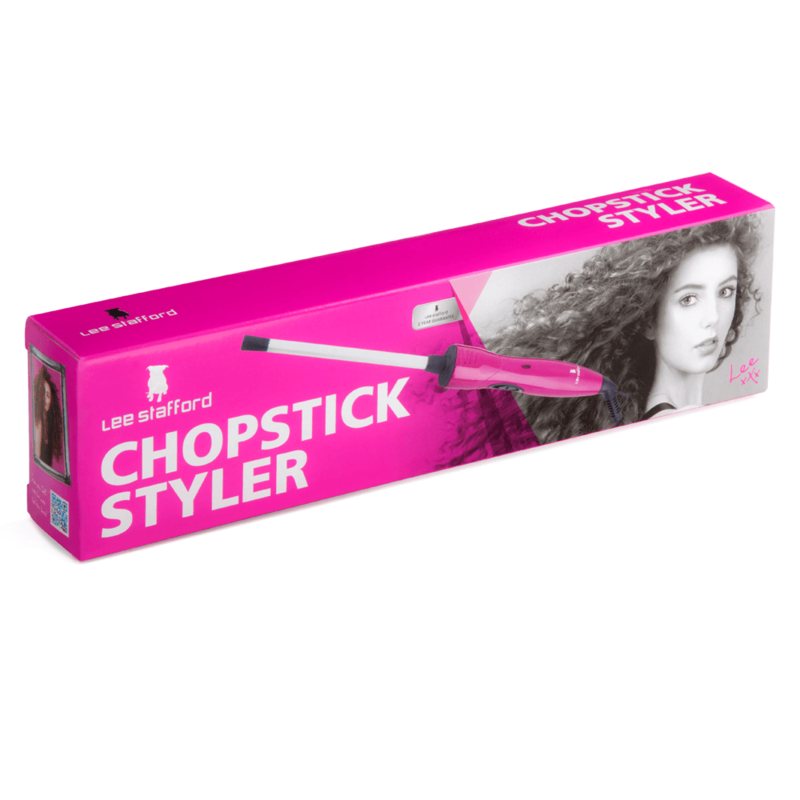 As miraculous as it sounds, this Lee Stafford Original Chopstick Styler will work for YOU. It's worked with women of all different hair types: thick, super straight, very fine, extra-long, etc. It's the BEST way to give yourself a trendsetting look people will love. 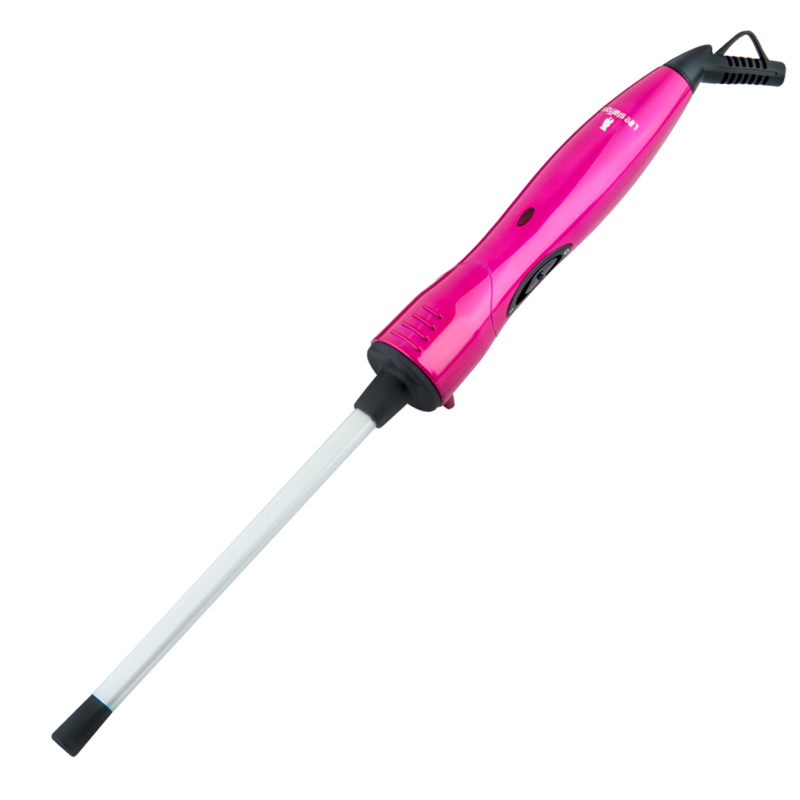 So much so that your friends may start to ask to borrow this fabulous curling iron from you. (Don't say we didn't warn you.) The beauty in all of this is that the wand heats up quickly so you can create curls in seconds- which is perfect for when you need to do your hair in a pinch. Before using the Curling Wand straighten hair and apply Heat Protection Professional Protection Mist. Make sure hair is dry and free of knots or tangles. Wrap the sectioned hair around Curling Wand. Hold in place for 8-10 seconds and release. Be careful not to let the appliance touch the scalp. Repeat with the next section of the hair until all sections are curled. *THE NO 1 SKINNY CURLING WAND IN THE UK WITH OVER 400,000 UNITS SOLD. Ceramic coated for healthy,smooth and silky hair. Fast heat up time up to200°c. Built-in safety stand to protectthe surfaces. On and off switch with LED indicator. Visit our Ebay Shop for Other Lee Stafford Items. Buy with Confidence from a LeeStafford Authorised Dealer and All Purchases come with a VAT Receipt.